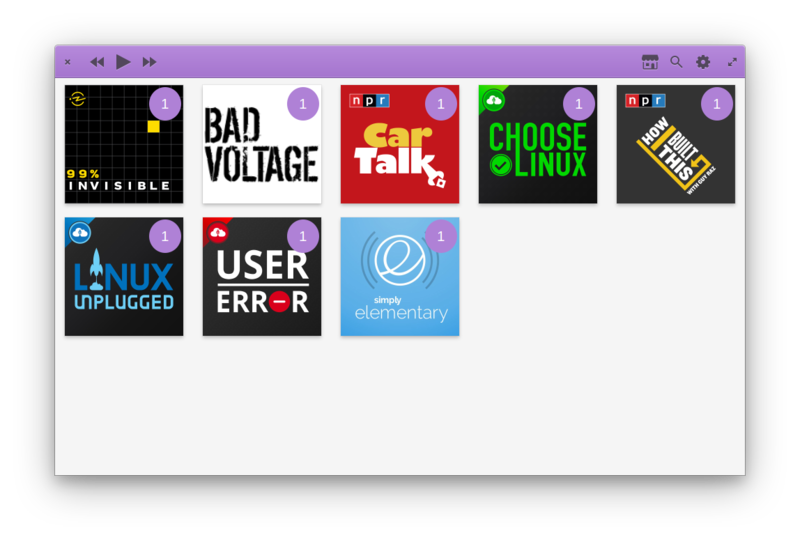 Vocal is the best way to find interesting new podcasts, maintain a growing library, and enjoy audio and video shows that automatically get updated with new content. Get Vocal and more on elementary AppCenter, the open, pay-what-you-want app store for indie developers. Every app is open source and has been reviewed and curated by elementary to ensure a native, privacy-respecting, and secure experience. 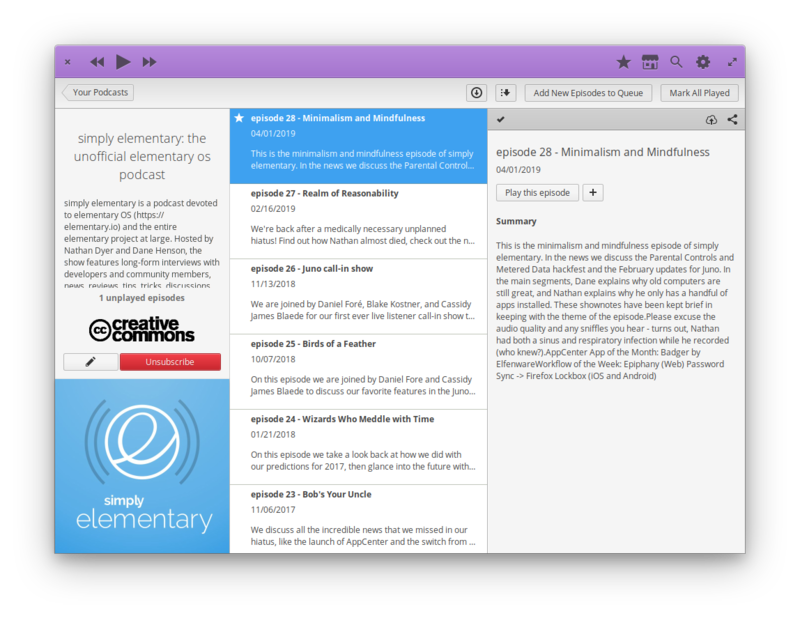 Vocal&apos;s first release for elementary OS Juno! 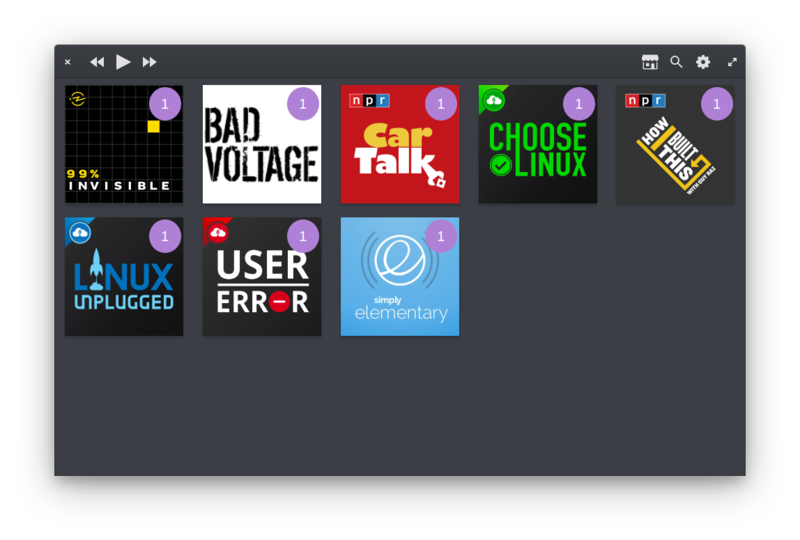 This update features a metric ton of bug fixes and stability improvements, as well as a brand new way to see all your new episodes at a glance. Fixed the infamous "freeze on launch" bug which prevented some users from accessing their library. 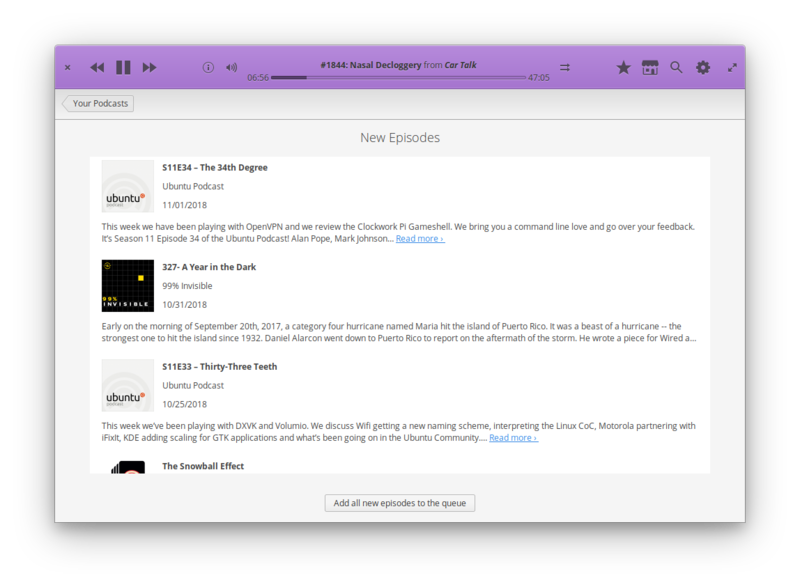 Added a New Episode view to see all the unplayed episodes in your library at once. Fixed an annoyance where Vocal would sometimes re-download an episode that had already been downloaded. Performance and stability improvements with checking for new episodes. Improved performance of the iTunes podcast directory (specifically related to the loading of hi res images). Improved logging and debugging support. Many other small performance and stability enhancements. Grab some hot chocolate and curl up with a nice podcast this winter season, it&apos;s time for a new Vocal release! This time around, enjoy a ton of stability and performance enhancements, full HiDPI support, and other bug fixes to make your experience as enjoyable as possible. Added HiDPI support for all images so everything looks nice and sharp no matter how fancy your display is. Fixed an issue where Vocal would not show you the time elapsed or remaining in an episode immediately after relaunching the app. Reduced the animation time for switching between different views so that it feels extra snappy. Gave the search results view a shave and a haircut. Two bits. Fixed a few issues where Vocal would be grouchy about showing certain episode descriptions. When importing several podcasts the progress bar now stays one size so you can actually judge the progress correctly. You can now drag and drop items in the play queue to rearrange their order. Lots more checking to make sure that things exist so it won&apos;t crash nearly as much (hopefully never). 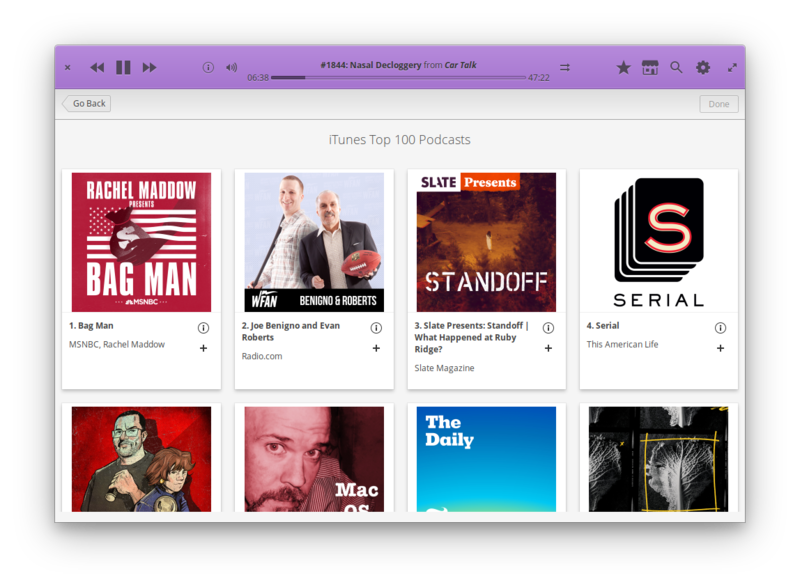 Vocal&apos;s most exciting release yet, featuring full iTunes directory and search support, improved performance, a redesigned podcast view, and tons of other great improvements.